Click on the screen below to watch the video of the birthday boy singing at 80 years of age! Click here if to watch the video on another page if clicking above does not work. Javeny is the daughter of my good friend, Jim Lim, who had a rare disease affecting her backbone where she was even brought to Singapore for an operation at SGH. This was in November 2007 when we happened to meet each other at the hospital by chance as recorded here. Learnt of news of a young church couple below planning their marriage registration in February which would be the start of a new family with generations of posterity to come. The Circle of Life of birth, marriage and death is already witnessed early in the year of 2014 from the events noted above. 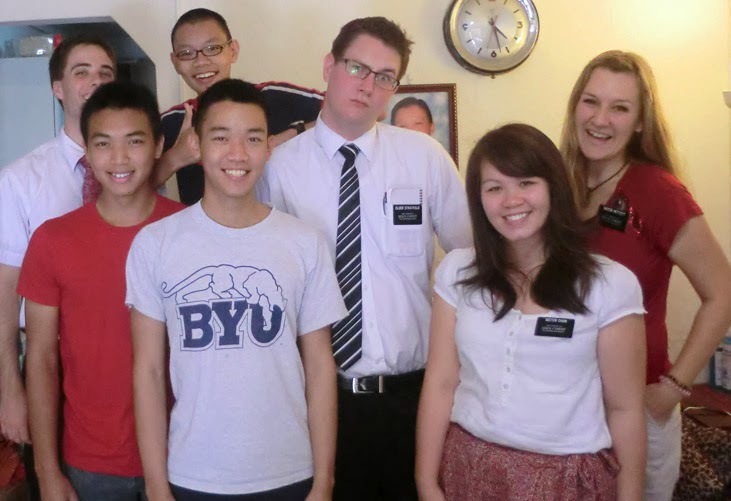 With a returned missionary from Kota Kinabalu who served his mission in 2010-12, exactly 30 years later from my time. Glad the next generation are doing their part for the Church! 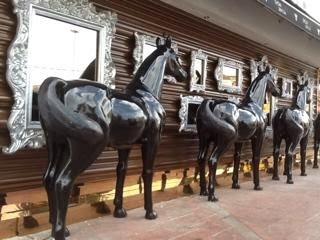 Fancy passing these horses after the car wash in JB town! The Nostalgia of past new year celebrations with Mom can be viewed and felt here. NEXT... visiting Kuantan for a Chinese New Year party there! 5 hours drive and the boys had to stop at the Big M for takeaway meals! With Aunty Nana, my mother's longtime friend who outlived her and is 92 years old today, joining our Kuantan party! She shared an account for me that I had never heard before. My mother visited her in Bentong and both women discovered that they were both pregnant with their youngest child with both of them over 40! 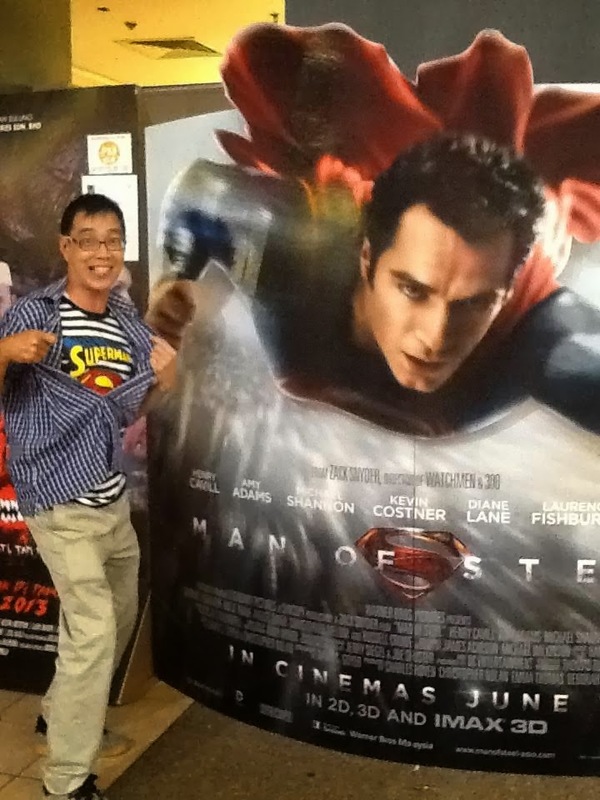 That was me and my childhood friend about 2 weeks younger than me, Thomas Poh. A Family photo just before Party time starts in the evening. The party starts with the traditional Lo Hei or "Prosperity Toss"
The boys are lined up for the food like hungry horses! ...but knew how to relax and enjoy dancing with the guests too! With warm hugs of friendship in between dances. There was something for everyone at the party. The Elderly like Aunty Nana, going strong at 92 years of age, could enjoy. Even my cute little grand niece was not left out. Those who loved to sing did so too. The eligible Chong boys having a photo with eligible daughters of family friends! At the end of the evening, the boys seemed to have had a good time. ...As I mentioned earlier, Elder Greenland and I had embarked on a quest to obtain Loh Hei for the event. We weren't able to find it in Chinatown by ourselves, but during the week, I overheard two girls on the bus speaking in Singaporean accents. I struck up a conversation with them and they told me they knew where to get Loh Hei in Manchester! We confirmed it by going to the restaurant they suggested and we were able to order 2 sets of Loh Hei for Saturday. Yeah! Melvin helped us Google the Chinese sayings we were meant to say out loud as we prepared each ingredient that had a symbolic meaning. Two prepared dishes of Loh Hei, surrounded by aluminum foil to ease the cleaning up later. Here's a group photo of all who attended. After the party, we had to immediately drive back, about after mid-nite, to ensure that Shuan returns to his Officers Cadet School in Singapore by his book in time of 7am on Sunday morning. 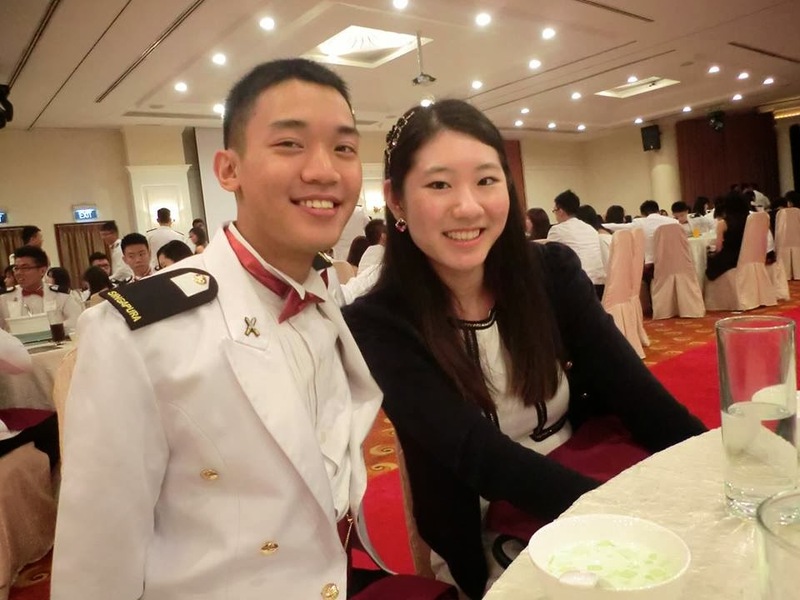 The story of his enlistment and progress in the army under National Service requirement is found here. A decision was made that I would drop the boys early at the immigration complex in JB so that they can make their way to their destinations by the efficient bus and MRT transport which starts as early as 5.15am so that I could park my car in JB and cross over later using the public transport. I had just left the boys at the complex and had to drive through downtown JB along Jalan Ibrahim, a one way wide 3 lane street around 5am. The sun was not up yet so it was still night. The street was however brightly lit with street lamps but with little or no cars around. I was driving slowly in the middle lane through town, relaxing after the long drive from Kuantan when suddenly I heard a screeching tyre sound behind me. Within seconds I felt something hit my car from behind which caused the direction of my car to swerve to the left toward the direction of the shop lots on the left side of the street! I immediately stepped on my brakes to stop the car but the momentum of the car was too strong to make it stop instantly and the car crashed into a pillar between two shops on the five-foot way to stop dead! The sudden stop threw me forward but my seat belt kept me from flying through the windscreen. Nevertheless, the mild whip lashing experience made my head bump against the top of the screen to sustain some pain to cause me to rest my head down for a while after the shock. There were no signs of any bleeding to my relief when I rubbed my head with my hands and I continued to put my head down, partly resting on the steering wheel. I was more fully conscious then and stepped out of the car to see what had happened. I first looked at my car to see the damage on its front from the right side which looked quite bad with bonnet crushed in the front with a broken front bumper and a damaged radiator. I walked back behind my car to the other left side and saw a great big dent on my left rear door with a damaged motorcycle nearby and realized what must have happened. I was coming from the left on Jalan Ibrahim, which is a one-way road heading toward the right direction, and was passing this side road that is one way coming out. This is the car seen from a view after that T-junction just about 10 meters from the one-way street where the bike had shot out from the right. This is the motorcycle that came out of the road, seen on the top left, and the rider must have been trying to shoot past the 3 lane road at top speed when I just happened to pass by and hit me right on my left rear door. I couldn't be aware of what happened or what hit me when the accident occurred as I had just passed the road where the bike was coming from on my left without looking at it. I had the right of way on the 3 lane road and probably didn't see the bike anyway as it was shooting at a very fast speed from the left part of the road to brake only in the last minute when my car just passed the end of the road where the two stop signs are! The speed of the motorcycle must have been very fast to create such a great impact on my car that when it hit it, the force on the rear left side caused the car to swerve out of control toward the left where due to the short distance to the shops, my instant stepping on the brakes could not slow it down! I was driving slowly at a speed of about just 20 or 30km per hour as it was downtown. I never saw the rider as per my account above, as after I gained a presence of mind, I decided it was better to stay in the car when I realized the crowd shouting and banging on my window was not to rescue me from any danger but that I could be in danger if I had opened the door. Later when I came out, an ambulance must have ferried the rider away as all I could take photos off was his bike and blood stains left behind! This view shows some bystanders on the street corner. I walked across to see the bike which is behind the police car at the corner. A gentleman, I believe being the one with the light shirt standing on the right of the lamp post, informed me he saw the man, young and not old, of Indian descent get on the bike further up the road and he looked drunk as he rode off on the bike wobbly and yet took off away with great acceleration! A police report was first made in the general counter and immediately after, I was brought to the Investigating Officer(IO) who asked me several questions in which I had to answer. He further typed out a statement with the computer on his desk and later printed a few pages of documents to have me sign them. He informed me that as the rider was very seriously injured with a possibility of death at the hospital, the car needed to remain at the police compound for a few days and cannot be towed to a workshop yet. Should there be a death, police procedures require them to do more inspection or reports so it was best to keep the car there meanwhile. By the time I had finished with the police for my police report and interview with the IO, it was already daylight outside. I could get a clearer shot of the dent which was made with a great impact from the motorcycle! I could also see that the windshield had cracked where my head had knocked on it when the car finally hit the shop pillar on the left of the street to stop. I must have a tough skull as I don't feel any serious pain in my head nor was there any profuse bleeding other than a small spot of my skin that seems to have a small blood clot. 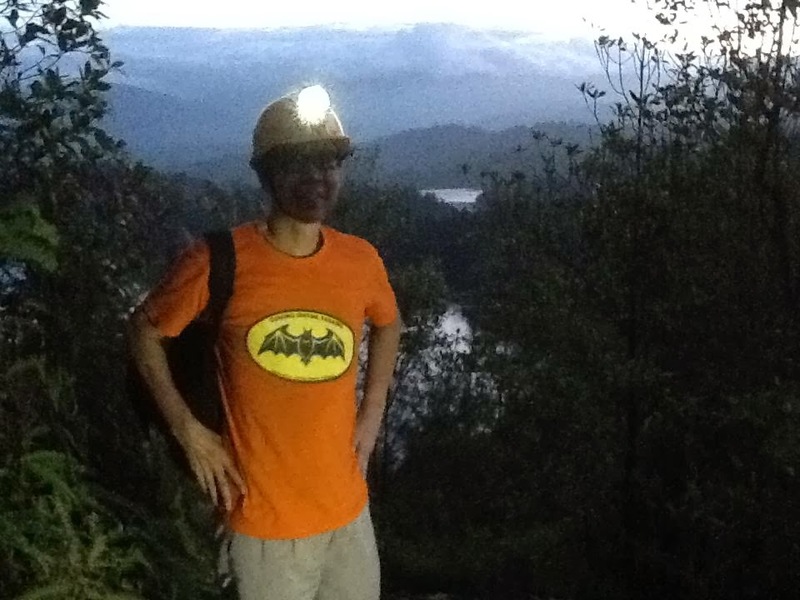 How does Batman, introduced in the early morning of 1 Jan 2014, handle this early New Year problem? His Batmobile that was nicely washed and vacuumed is now out of operation! 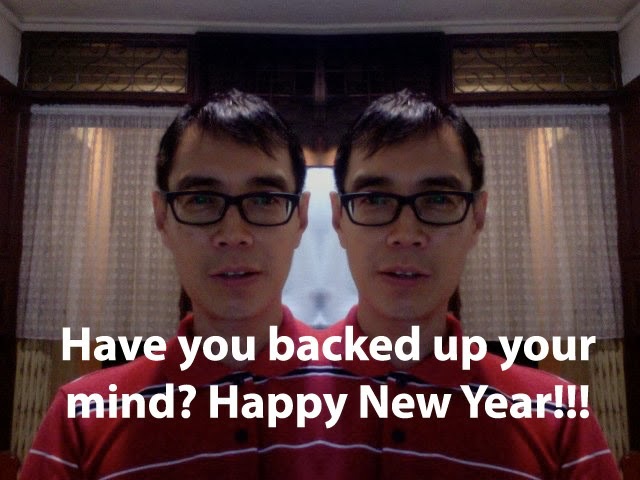 He backs up everything including his mind as noted in the first blog post of the year 2013. So in emergencies, he is prepared with optimal thoughts of what is the best course of action. He would access his brain for previous data and computes it against the current situation and charts out the next best course of action. He, therefore, tries to have a back up for all the important things that he uses. ...and of course including his Batmobile to zoom around! 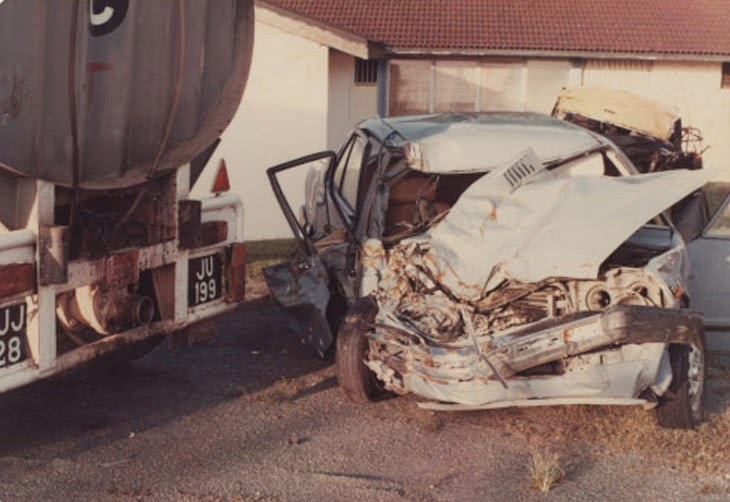 ...like walking out of this critical accident with minor injuries only when his car hit head-on with a palm oil tanker near JB too in a place called Simpang Renggam in 1985! No details could be written in my journal of the incident as the accident had wiped out his memory from the time before impact to a week after at the hospital. Some more details can be found below on his visit to the Sultanah Aminah Hospital again. 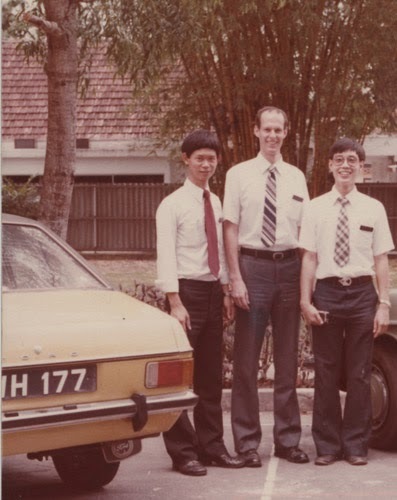 A car story of a near accident, however, could be recorded in detail when he was a young missionary serving in Malaysia that was recorded on Monday 24 Nov 1980 that can be read here. It was not in Johore Bahru but was in the same Johore state closer to a town called Batu Pahat! Many stories have been told about ghosts in Malaya and Singapore. 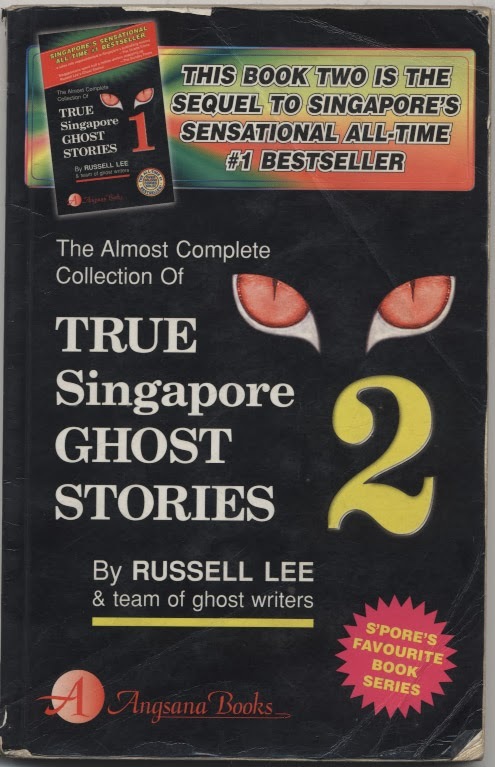 Superstition is high in Asia but I am not one who is superstitious nor am I a ghost-writer though I have an interesting book in my personal library on 'True Singapore Ghost Stories' by Russell Lee. The thought of ghosts reminds me of my experience in Kuala Lumpur, playing Batman perhaps, that referred to a street or area being called 'Dirty', meaning that evil spirits still haunt the location to bring trouble to innocent passers-by. My journal post is found here. Indeed there are many unknowns in this world be it about ghosts, UFOs or even the human body. As Science attempts to uncover more facts to explain things by putting them in neat boxes, there is a strange phenomenon in our minds that seem to find our own explanations when explanations are almost impossible. As a man of science and also of great faith, a strange combination perhaps, I surely cannot back up my life but on that Sunday morning, I could attend Church in JB! I like to now share my personal spiritual experience that came out of this human experience of an accident or another accident in my life. If you may have read some of the links given earlier that shares some of my past experiences, you will appreciate the extensive experience that I have been exposed to in my lifetime. Truly writing journals to me is an exercise of backing up my mind so that I may not lose the relevance and reality of all that I have gained in the learning process of life especially personal experiences that teach me more effectively than teachers in a classroom scenario though I am appreciative of the many good teachers I have had. After the shock and follow-up rational analysis of what happened that Sunday morning, I was to decide what to do next. If you look at the photo above taken from inside my car of the cracked windscreen caused by my hard skull, there is a red taxi in front of my damaged car. It was hailed with the help of the driver of the tow truck seen in another photo, a few photos above the cracked windscreen photo, where my car is on his tow truck. He was a kind helpful Malay man who not only got my car on his tow truck to the Police Station compound but waited for me until I had finished my meeting with the IO and helped me hail a taxi from the street. I needed to take all my luggage in the car and whatever valuable items there out of it to be brought somewhere else. My mind was to head to Church first but I wasn't sure where it was as I had only attended a meeting there once some time ago so first thing first, I loaded all the things I wanted into the taxi. The driver was a Chinese lady who asked me where was my destination. I had by then received an SMS from Jeff Lee, a member of JB branch of the Church I had sent a text message to, who gave me the full address. I showed it to her to bring me there but she was not sure of the exact street location but could bring me to the area. Now as I was always friendly and conversational to strangers, I found her likewise so the topic turned to her experience with Churches that had been negative. As we chatted, the meaning or purpose of my accident came to my mind and I expressed that I think I had figured it out. She immediately asked me what was it? I boldly proclaimed to her that it was so that I could meet someone like her to share a message from God! Her reaction was to tell me maybe so as she said that she had first turned down to stop when the Malay man hailed for her taxi. She was having her last passenger after working a full night shift and felt tired to want to go home. However, she dropped the passenger and made a U-turn to come round again to the direction of Police Station and saw the Malay man again who hailed for her taxi and she decided to take another passenger. While we were driving, she also related to me that she had passed the scene of the accident earlier in the morning and saw my car against the pillar on the side of the street with a police car close to me which was coincidental. As we reached the area where the Church meeting place was, ie in a commercial area, I boldly declared to her that I really cannot remember exactly where the Church was but I told her that if I could direct her straight to the Church, that would be a sign from God that she was meant to meet me. Lo and behold, a left here and right there and another left and right again, I recognized the door of the Church and we stopped exactly in front of it with no wrong turns at all! I was amazed at myself and then again, I've done this miraculously a few times before so I wasn't totally in shock! A couple missionary happens to arrive and I introduced the wife to her. Also, there was an American Elder there and she freely gave her phone contact to them. There were more pleasant surprises for me at Church on that Sunday morning in JB! Then an American Elder with a familiar name, Wadsworth, showed up, and I knew who he was! I had worked for his father's company as a management consultant and his father, John ,soon wrote to me when he heard news from his son that we had met! Small world isn't it? Then I always love to meet returned missionaries especially from Spore who faithfully help out branches in Malaysia after their mission! 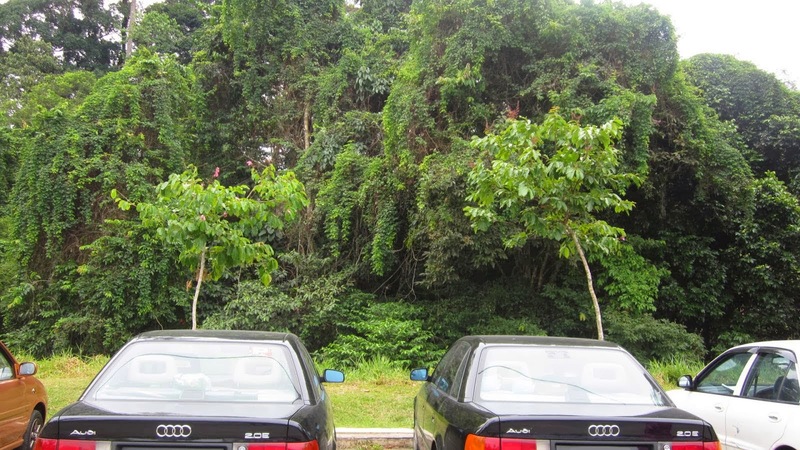 Last but not least, the missionary couple serving in the branch assisted me to allow my bags to be kept in the RS room so that later in the week, I could come back from KL to pick them up with my backup car as they had the church keys and were living close by! My spirits were definitely lifted attending Church that day after what could be considered a disastrous day! It was a dragon dance performance that started just after I arrived at the JB meeting house and met the couple! This was the 7th day of Chinese New year, my lucky 7 number or the number of Good Fortunes for me! It was for a cafe just a few lots away beside the JB Church. The Chinese Dragon is a rare sight for me as most times I only get to see the Chinese Lion dance. It is much longer than a Chinese Lion and begins to move around faster as the dancers run around faster manipulating a long flexible figure of a dragon using poles positioned at regular intervals along the length of the dragon! The dancers can even go low down sitting on the ground. Here is how long the Dragon is seen entering the cafe in the end of the performance! Chinese people seem to have so much symbolism in their lives but don't we all in whatever culture that we grow up in that makes us who we are? There is something in the traditions and symbols of the culture that does make us become who we are as we perpetuate certain beliefs, superstitions that come with cultural habits. It is not just based on race but can be from beliefs too which started my blog post of the M culture! It's like believing in Ghosts, as featured above, where some do and some don't or some believe in a different kind of Ghost or Spirit as described here. After collecting my luggage or belongings, I went to meet up with the Sergeant IO at the JB police station. I asked about the rider and if I could visit him at the hospital. He made me aware that it could be dangerous as there might be angry family members blaming me for the accident. I told him I felt a compassion for the family and though I am aware there might be just violent people or crowds like just after the accident, I just felt comfortable to go see the rider and possibly meet with his family members there! He gave me full details of the rider's name, identification card number and hospital ward information and I headed there immediately. That name Hospital Sultanah Aminah brings back memories from almost 30 years ago. I was alone driving to Singapore to pick up my wife, who was expecting our 2nd daughter, and our oldest daughter of just over a year old. I had left them there since the start of the celebrations to spend time with my wife's family in Singapore with plans to bring them back to KL at the end of the 15th days of Chinese New Year of 1985. I never reached Singapore in that journey but woke up in this hospital where I was in a coma for a day or two before they could operate on my right multi-fractured forearm. Whatever happened during the first week of being in the hospital including the accident cannot be recalled as if all memory for that time frame was erased. I only have the photos of the wreck to tell me I had a serious accident with a palm oil tanker truck at Simpang Renggam in Johore state! The design of the deep window sills seems to have been permanently etched in my mind with an image of a cat sitting on them at times from outside! I found the ICU and a policeman was on duty. I explained of my purpose there and he knew the patient's family members were still around and led me to find three women who were sitting in the rows of seats placed on the porch entrance on the ground floor. One of them identified herself as his mother and I introduced to them who I was, being the driver of the car that was hit by the motorcycle in the previous Sunday morning. I sat down beside the mother and started our conversation. She cried that he was the eldest boy of 4 children of whom the oldest was the only girl and that he was the only child working and supporting the family. She related that her husband had died 18 years ago driving a truck that had an accident with another truck in the state of Johore but not JB! Thoughts of ghosts in action crept into my mind! I gave her a warm hug expressing my sincere feelings of sadness that her son was in critical condition. I found out that she was Christian too of Catholic faith and we talked about saying constant prayers for him. Then I proceeded to explain what happened that morning where I didn't know what hit me but only heard the sound of screeching tyres behind me followed by a large 'bang' on my car causing it to veer towards the left to hit a pillar of the shot lot whereby my head had knocked the windscreen that cracked on the impact! She asked me why did I leave her son's body to be brought to the hospital by a third party? I responded that because of the crash of my car against the pillar of the shop and my head hitting the windscreen, I was momentarily dazed and did not come out of the car until the police came. By the time I came out of the car, I don't recall seeing her son anywhere but his motorcycle was still there and only then did I realize what had happened. 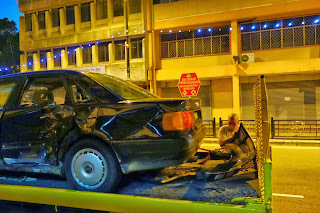 I gave an explanation of the accident as described above with the best recollection of my memory and mentioned to them that I also took photos after I got out of the car when the police came. 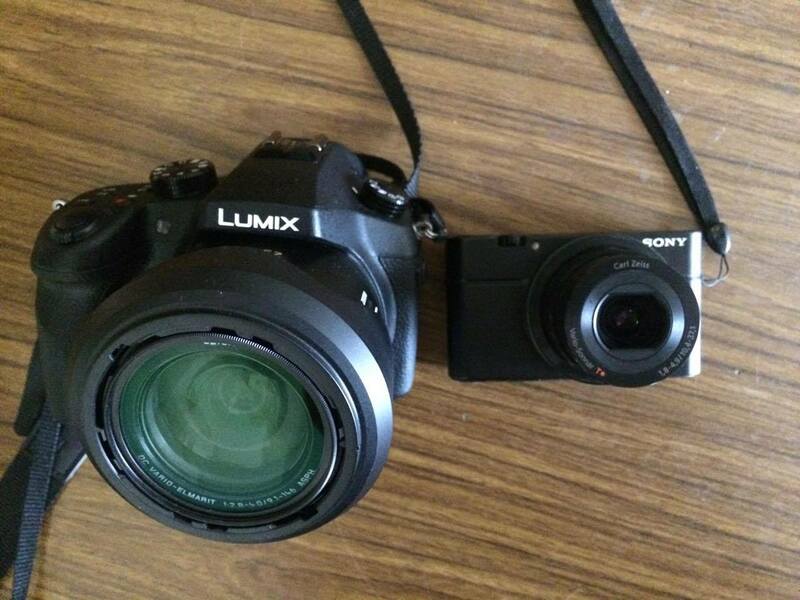 I offered to show them the photos that were in my computer notebook and they accepted. I told them I could walk to the car park and drive my car to the porch where we were sitting on the long benches so that they could view them too. The mother is the one on the far left and they could view the photos similar to what was posted above with my notebook that was placed on the left seat. One of the women even used her phone camera to take photo shots of my computer screen so that she could share with others. They had also got me to talk to the brother-in-law of the mother on the cell phone, where I explained simply what I felt had happened that morning and he seems satisfied. The mother missed called my number that I had given her so that we both could exchange numbers to contact each other at a future time. I gave her a hug again before we parted and felt that the best we could do for her son now was to pray for him. One could see the half moon in the horizon outshined by the lights from busy Singapore island! I walked to the end of the wooden pier enjoying the crisp morning sea breeze on a sunny bright new day! In the morning sky, the quietness is broken with jet fighters flying high up in the sky above the sea, practicing for a Singapore air show. It's time to return to Singapore! Back with the boys to continue our Chinese New Year celebration. Lucky to see Shuan, Son No2, being able to join us in our family visitations as he has limited time to book out of his OCS army camp! He is all dressed to rush back to camp after having a nice dinner in this CNY party. In Singapore, the armed forces really groom the men up in more ways than one! Now how did I get this photo of him all dressed up with his date on a social night for the cadet officers? Stole it from facebook of course haha! I'm glad the army can force him to date just as I had to find a date for my annual university balls in Australia in the good Ole days! For more pics of him in uniform, you can visit here. There were lots of kids in the party that made Ray, our youngest at 16 make a comment a day after the party was over that he and his brother Ern at 18 couldn't find teenagers their age to mingle with. Compiling the photos now for this post, I guess this photo does give an impression of how they felt, being surrounded by much younger kids. My niece and nephew chatting in this photo were already working adults and she is even a mother of two now hosting this party in their beautiful home! For me, I was already the grand uncle with pics of my grand nephews below! This mother is the niece of my sister-in-law whose son is also a grand nephew of mine too by marriage. 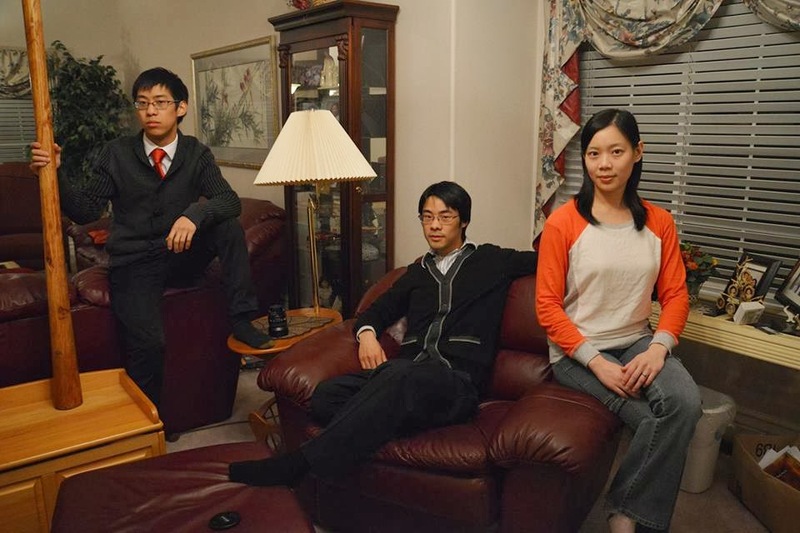 I'm using English terms of nephews and nieces while if I had to name them in Chinese, they would have specific names depending on which side of the family they come from. Such is the sophistication of the Chinese mind and the language with an unbroken culture that goes back 5,000 years! For me, I was glad to find some seniors and not too juniors to be able to mingle and enjoy conversations with! Overall we enjoyed the party that had such hospitable hosts to organize a party that catered from the very seniors to the juniors. Ray's feedback was accurate which can be attributed to the fact that his father is "Dad the KL City Kid" in his family as the youngest child and therefore by the time his youngest child grows up, he might be caught in between generations with few relatives that is in his same age group! Nice to catch up with Elder Egbert back from East Malaysia for a short zone leader meeting in Singapore! 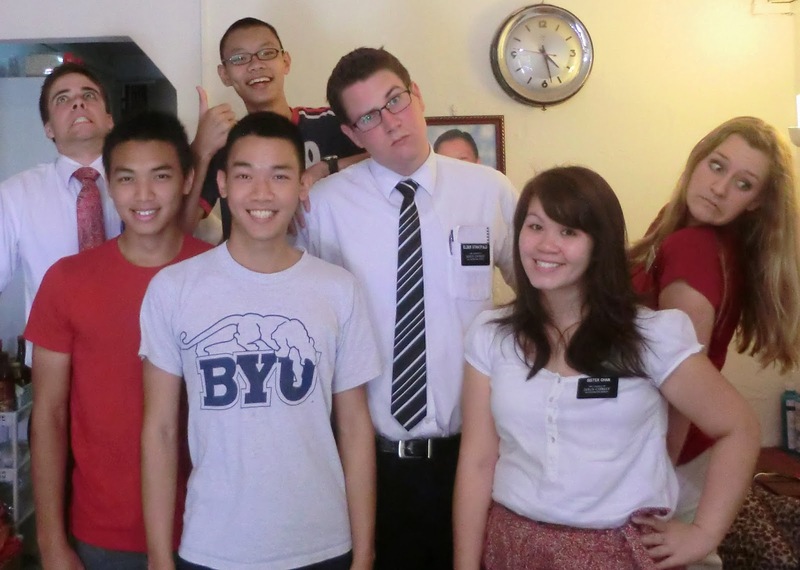 I and my good brother in the neighborhood found out the night before from our meeting with the Sister missionaries that he would be back in town and made an effort to catch him even though it was just for a few minutes between his arrival to the Church Stake Centre from the airport and the meeting he had to rush for. Missionaries indeed carry a special spirit with them that all those who come in contact with them will love and appreciate them. I'm grateful that I'm tech savvy and know how to use social media today to connect with many of what we call Returned Missionaries who have returned home and continue with life like I did after my mission, raising families, embarking on careers and continuing to serve others in various capacities in their local Church and communities. 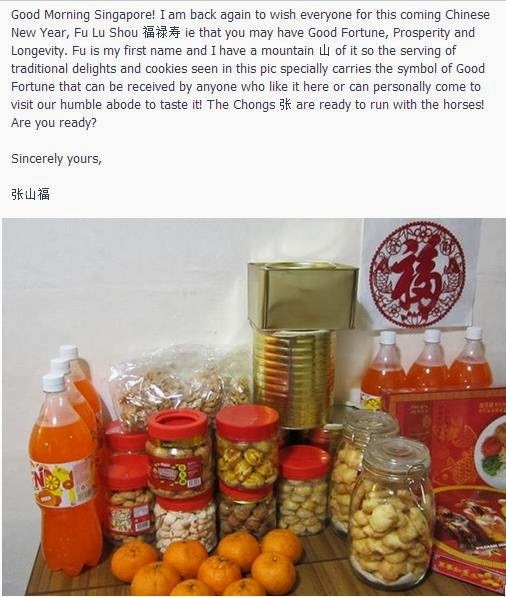 This Chinese New Year on 11th February,I noticed a Van Rider, formerly called as Elder Rider when he served in Malaysia, popped into the facebook group that I created which has informally gathered about over 500 of these returned missionaries who have served in Malaysia previously. He had made a request to join the group and I immediately added him and knew who he was quite instantly! Not that I have a photographic memory which is quite the opposite really, which explains why I spend lots of time writing things down for fear of forgetting them, but in this instance I never forgot the Elder Rider when we were in KL branch who I remember was often carrying our baby who would be sleeping comfortably on his shoulders at Church! I also immediately made a request to him to accept me as a friend which he did and scanning his photo album, I see that he has a wife and 3 beautiful children of his own now! What a great blessing to be in contact with Van Rider again today after over 15 years I think. I have requested for his basic mission info to add him to the names list like the years he served on his mission and the names of the cities he had served but he has not replied yet. So I estimate from my poor memory that it must be at least about 15 years ago when he served in our KL branch then! I know many would shy off from Facebook for various reasons but it has been a blessing to me to find many old friends again and stay in touch with them who I dearly miss. Besides Church members, it has helped me connect to my old school friends group where before the advent of Facebook, I could only keep in touch via the laborious task of snail mails at first then emails later and I even created my own Alma Mater website to keep the memories of our wonderful class of 1974-75! 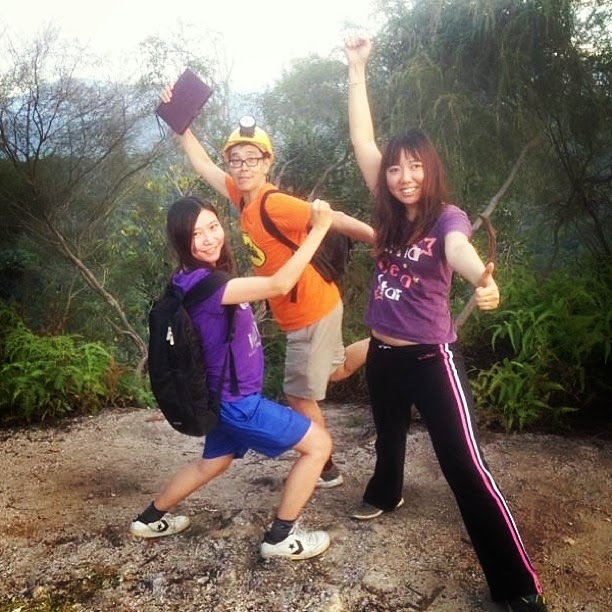 This February month reminds me of the blessing of facebook and the returned missionary website that helped reunite a pair of twins with missionaries that taught and visited their family a long time back as their hearts somehow turned to them after losing both their parents, the last being their mother Lucy Goh last Feb 15 of 2013. In the night time, we could see the full moon in a fairly clear sky but there were strong winds moving clouds in the sky. It was time to do our closing ceremony for the Chinese New Year with 1 parent and only 2 boys at home as 2 daughters are Married and living in the US and 2 boys away from home, 1 on a Mission for the Church in the UK and the other in the Military for the country of Singapore. Indeed the M Culture described last Christmas is totally prevalent in our family! ...and passes the cup and red packet to his son. For our family, this ceremony became a tradition created by us to close the Chinese New Year celebration on the 15th day. 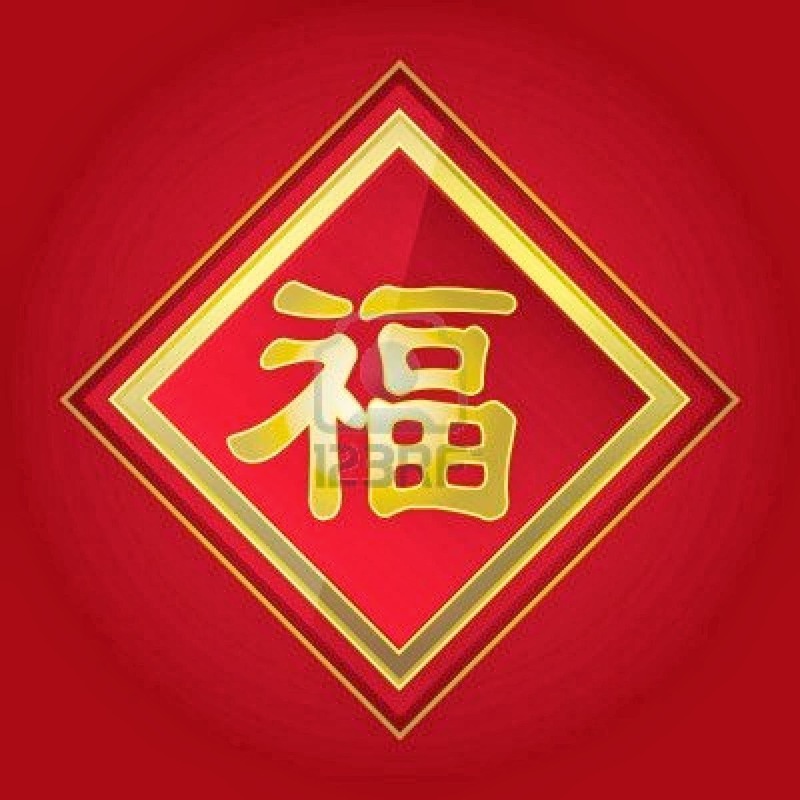 When all 6 children were home in the early days and when their mother was alive, it would take some time to complete as they also had to serve their mother with their blessings and she would return the same also with a red packet. This year, I thought of experimenting to make some homemade 'Tang Yuan' by searching the internet and found this recipe. 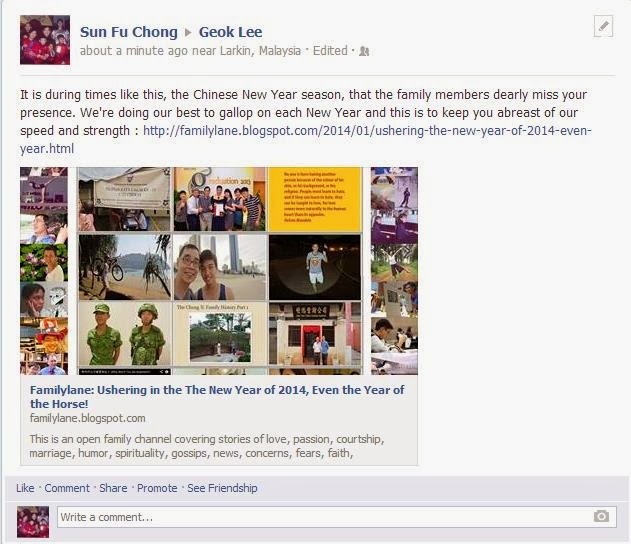 This marks the end of this post that ushered in the New Year of 2014 as well as the Chinese New Year of the Horse! It was eventful with lots of speed, worthy of a Horse year I would think. We've kept our traditions for another year that keeps our links to our Chinese families and friends. 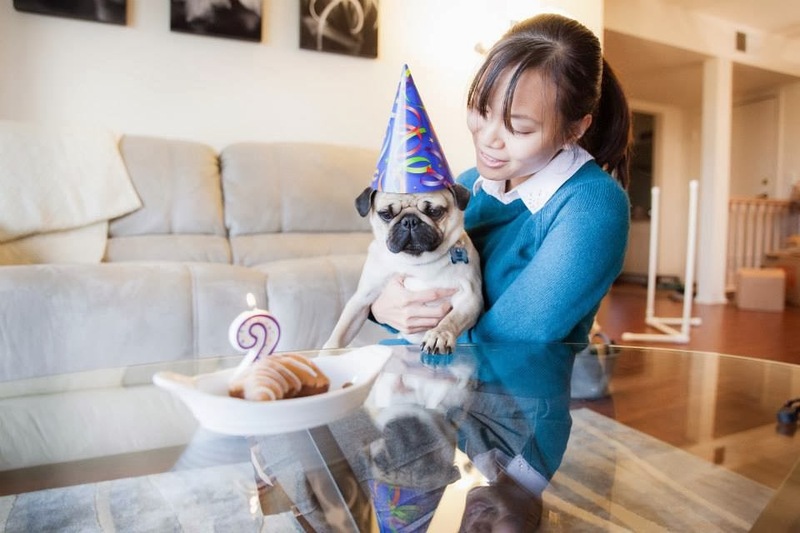 If the events of the first two months are any indication of what the rest of the year could be like, it would be wise for us to hang on tight to enjoy the ride and always have a backup just in case! I'm mindful as posted earlier that we need to value our lives as there isn't really a back up for it! 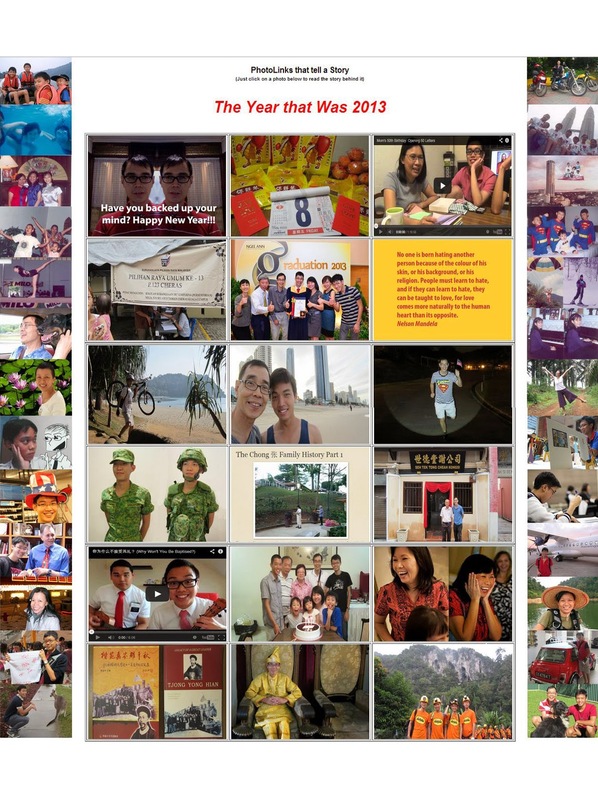 If you're not convinced yet about how busy I can be during the Chinese New Year period of 15 days in a year, take a quick look at what happened in the year of 2013 during the 15 days of that year! 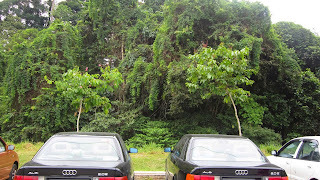 I came back again to JB police station that held the car back longer to see if the other party in coma would live or die. Death in an accident case apparently creates more procedures for the police to compile a report as I was told.I called up the number given to me earlier, that of the rider's mother's sister, and was told that her husband would call me back. He did and I learned the good news that the young man was released from the hospital and recuperating at home! My prayers were answered and I told the man that the most important thing is that he is alive despite some financial setbacks that he was the sole breadwinner of the family and currently could not work. By the time the car was taken to the workshop, it was late and the day turned to night. With some inspiration, I created an album of photos of what I could produce when I'm given a Light, Nature and a Camera found here.